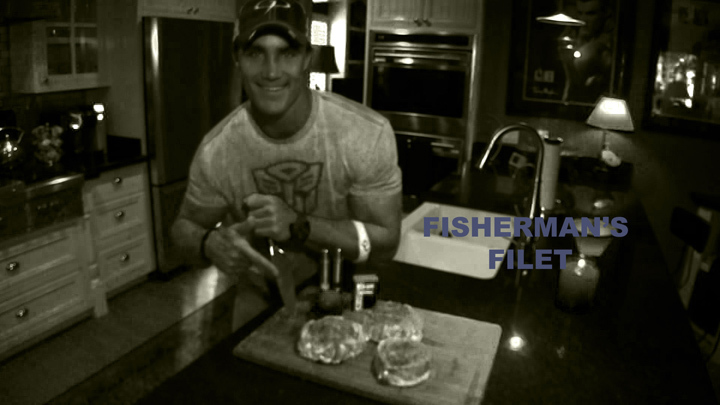 Greg invites you into his kitchen as he prepares the ultimate, muscle-building seafood meal, Fisherman’s Filet Mignon. This very low-carb, protein-packed dish is made with salmon, lump crabmeat, scallops, shrimp and snow crab legs; providing the fuel your muscles need to repair themselves and grow after an intense workout. Get ready to impress not only your muscles, but also you taste buds and anyone else lucky enough to be given a plate! One taste of Greg’s Fisherman’s Filet Mignon and you’ll definitely be putting this on your post workout menu.